I’ve worked with Rivington Associates for over 20 years. Their solid reputation for quality appraisals makes me feel confident about sending clients their way, which I do often. With customer service second to none, and a down to earth approach, the staff at Rivington are always thoughtful and professional. They provide prompt work and always meet deadlines – often working extra hours to do so. I can’t tell you how nice it is to have a professional firm that you can rely on. It gives me one less thing to worry about knowing they will do an excellent job every time. Rivington Associates have a reputation for quality and clarity. They have been the number one commercial appraiser in this market for many years. They provide extensive detail in their reports to help me understand the property more thoroughly. As a banker, my role involves understanding and explaining potential risks and how they can be managed; Rivington Associates helps me to do this and they are a valued partner. I am always glad to refer their services to my clients and peers. 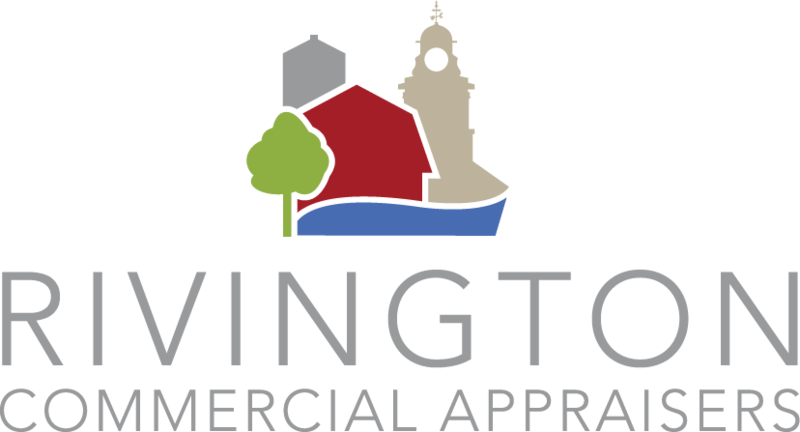 Working for an organization that buys and sells a lot of land, we regularly use a variety of appraisers, including Rivington Associates. But Rivington is my preferred appraiser because they always offer consistent, reliable appraisals, which is very important in my line of work. Their staff are highly skilled and have extra accreditations, allowing them to provide a higher standard of appraisal. I know that no matter the property, Rivington Associates have the skills and information to do a great appraisal; and I never question their work. What is the “Highest and Best Use”? What is the “Date of Valuation”? © 2018, Rivington Commercial Appraisers | Looking for Rivington Residential Appraisers?